BBos, capital of the Strandveld. Maybe not in size but definitely in spirit! All things happening in Baardskeerdersbos. Book your accommodation and activities with us. 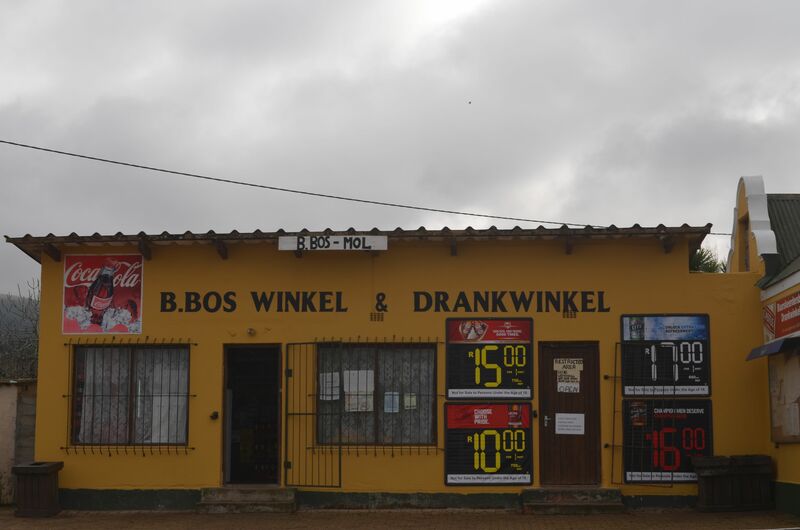 #BBosIsLekker infoshop in Baardskeerdersbos stock a range of local produce, handmade and homecooked. #BBosIsLekker: Guided Village walks. Scheduled walks Every last Saturday of the month, 13:00. Start at info shop. R20 pp. For custom group walks, contact us and we can fit you in. Music in the forest: Thursday, 24 January 2019 from 18:00. Granaatlaan 4, at Niel Jonker. With Roots Grown Deep, a cross-continental beyond genre musical and educational ensemble with Seka Maleka, Dan Boshoff and Joel Karabo Elliot. Listen to pure soul by Ohawekazi. Playground for the children. Don't miss our wine tasting by local wineries. Rusty's Pub Open Weekend nights. Saturdays from 10am. Niel Jonker breadmaking workshops. Regular event. 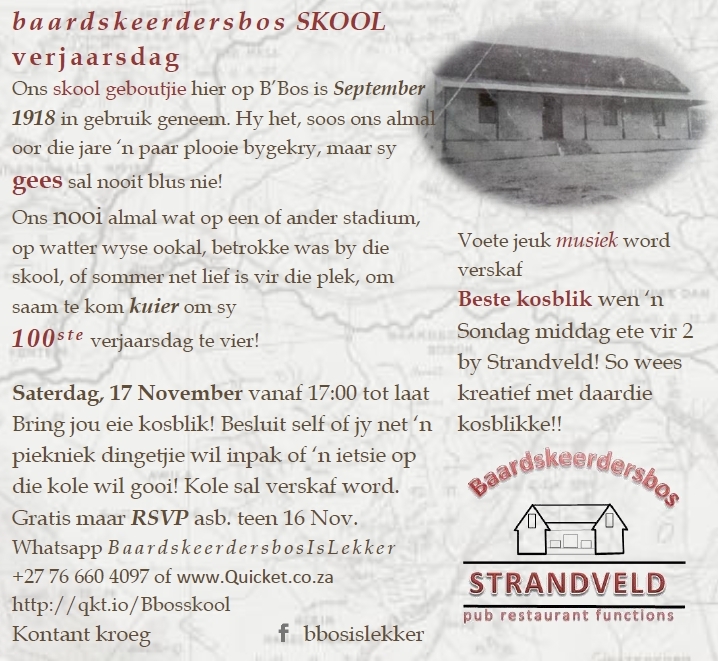 Baardskeerdersbos Is Lekker is here to bring together the people of BBos and introduce them to the world out there. We want the world to know about us and come share in what BBos has to offer. 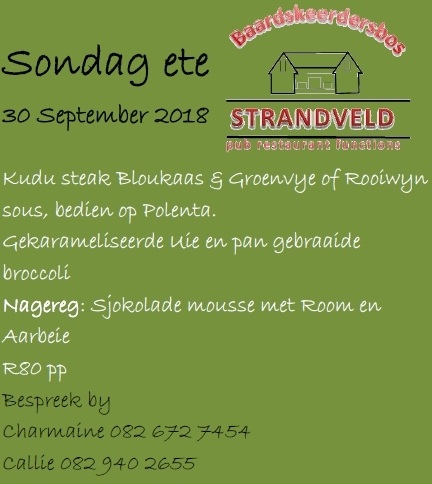 How to find our hamlet - from Bredasdorp take the R319, direction Agulhas, just outside of town turn right onto the R43. Follow the R43, for 50km until you reach BBos. from Gansbaai follow the R43 towards Uilenkraal. At Uilenkraal turn left and follow the road for 17km. Fuel: At the BBos shop you will find fuel (Diesel & Petrol). The pump is only open during business hours. Shop: The BBos shop offers basic necessities as well as a liquor store. 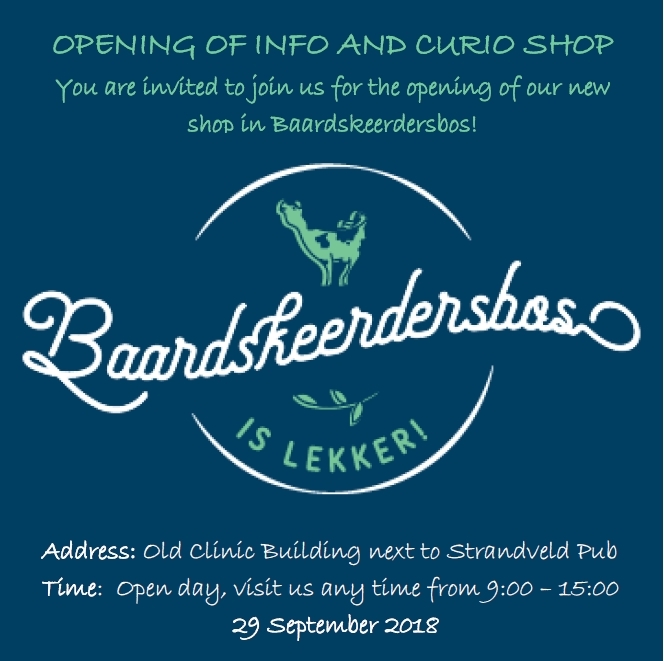 Our info shop next to Strandveld pub offers information on what to do and see in BBos and stock a range of local and homemade products and crafts. We also offer town walks introducing the visitor to the history and people of BBos. contact us to book a guided stroll through our hamlet. The man behind the only book on the history of Baardskeerdersbos.